Breathtaking harbor and ocean view! Room for the whole family! Spacious and gracious, 4 bedroom, 3 bath, top floor, corner villa with a jaw-dropping view of the resort's harbor and the Atlantic. Thoughtful floor plan with open living concept, a wide, private balcony that beckons those who enjoy dining alfresco. Master bedroom has a king bed with elegant ensuite bath boasting a luxurious jetted tub, separate shower and his-n-her granite-topped vanities. Bedroom # 2 has a private entrance from the exterior of the villa and features a king bed. Bedroom #3 has a queen bed, and the fourth bedroom offers 2 twin beds. All bedrooms have TV's. Extra sleeping available on the trundle bed in the main lounge. Kitchen is well-stocked with cookware and cutlery...has an eat-in kitchen with seating for 6 and custom wood cabinetry highlighted with gorgeous granite and stainless appliances. The open dining area has additional seating for 8. Great space. Lots of room for our group of ten. Nice harbor for docking our rental. We had a great mini season vacation here and will definitely come back next year! We rented three units for our wedding week through Barefeet Rentals at the Mariner's Club. They were all fantastically furnished and in excellent condition. It was a luxurious condo with an incredible view. I highly recommend staying at the Mariner's Club with Barefeet Rentals. The unit was extremely spacious, gorgeously decorated, and even nicer than the pictures. The view was incredible! Very nice unit. Nicely decorated and furnished. Spacious with large balcony with view of the marina and ocean. Nate were very friendly and professional. Just a couple of hours after arriving our smoke detector started chirping for battery replacement. Nate came over and replaced the batteries within an hour of the call. The elevator also stopped working but was fixed within a couple of hours.The staff at the check in and out were also very helpful, unfortunately we do not remember their names. Our vacations was over Christmas 2017 just after Hurricane Irma devastated most of the Keys. Although the Mariners Club was still not 100% they were well ahead of most if not all in the recovery process. The pools and marina were open. The grounds were improving everyday. Very friendly office staff. After hours call regarding water shut off in building was not returned. MGR RESPONSE: Our apologies...it was an area-wide outage that was repaired prior to us being able to return everyone's calls. I really liked the team. Everyone was friendly and made recommendations on places to eat and visit. The property was one of the nicest places we've ever stayed. Beautiful unit. Clean and comfortable. Incredible views and convenience. Enjoyed our stay. 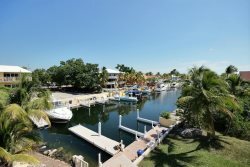 Very nice area in Key Largo. Beautiful view and lots of space. Not a fan of ALL of the fake plants, definitely too many. Needs pool towels and more than one hair dryer. We enjoyed Key Largo Adventures Snorkeling at John Pennekamp Jet skiing, paddle boarding and kayaking at Robbie's. Excellent. Barefeet experience was very straightforward. The property was exceptional, pictures did not disappoint. The beds in the property were very uncomfortable, in our opinion. HOMEOWNERS RESPONSE: Three of the mattresses are new and there is a foam topper on the master bed. It was large and spacious, only thing missing is a grill close by or on the balcony. Things to do include Island Dolphin Care, and swim with Dolphins Pennekamp state park and Glass bottom boat out to the reef, also. Everyone at Barefoot and Mariners was very helpful and accommodating. I called about the air conditioning in the master and the person knew exactly what the issue was and I no longer had a problem from that point forward. All of the team members that we dealt with were very friendly and helpful. A great experience! We loved our unit- it was perfect for our party. We really enjoyed spending time on the balcony overlooking the marina. Parasailing, kayaking and paddle boarding were our favorite activities on the island! Both the Glass Boat ride and the Alligator Air Boat ride! !